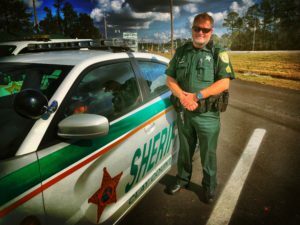 The Clay County Sheriff’s Office values your opinion and loves to hear from our community. We encourage you to tell us of positive encounters you have had with our members, provide us with information that may prove helpful in preventing/solving crime or make us aware of an issue that needs to be addressed. You can send a message here on the website, via social media (@ccsofl), through our mobile app, or by calling us at (904) 264-6512. Remember, you can also remain anonymous by calling First Coast Crime Stoppers at (866) 845-TIPS (8477) if you wish to provide information concerning crimes. *Under Florida law, email addresses are public record. If you do not want your email address released in response to a public-records request, do not send electronic mail to this agency. Instead, contact our agency by phone or in writing.